Many people think that Peru is all about mountains and the highlands. And yes, that’s one of our principal attractions. But did you know that Peru has also peculiar and beautiful beaches? 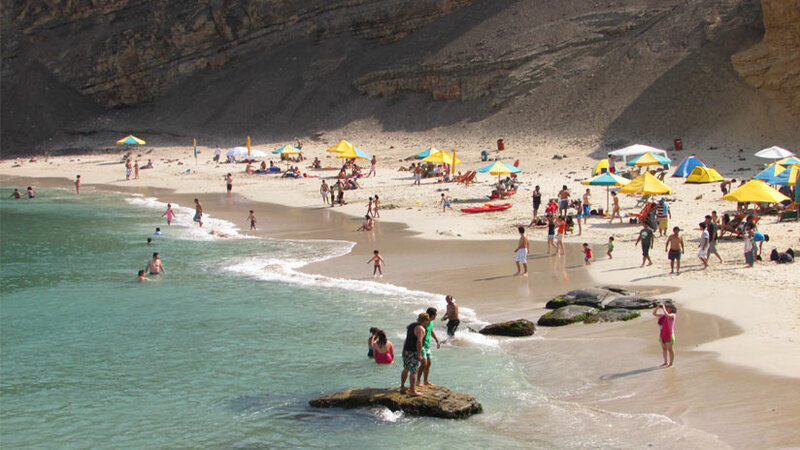 If you travel to Peru during the summer season (between January and April) you can take the advantage of the pleasant temperatures and you can explore the coast by going to regions like Lima, Ica or Piura. One of the places that you can visit if you want to enjoy the beach at the Pacific Ocean is Paracas, just 4 hours away from Lima, at the Ica Region. Why Paracas? We will mention 5 reasons why you should visit this beautiful beach destination. As we said, Paracas is just 4 hours away from the Peruvian capital: Lima. You can take one of the many buses that leads to this place daily. Some companies like Cruz del Sur or Oltursa can take you there. These companies’ offices are located in central and touristic areas of the city, so it won’t be complicated to find where to buy a ticket. They speak English and they will be disposed to help you. If you want to go on a private bus that’s also possible. There are many companies that offers this services. You can ask us if you want us to help you with this. The advantage of traveling in a private transportation is that you can stop in between if you would like to, you will arrive earlier and you can visit other places in the route. If you go by a private car you can also visit the delicious restaurants of the area like “El Piloto” or “La Olla de Juanita”. Also, the area has many hotels so it won’t be a trouble to find where to sleep. We advise you to take a look on the internet before to find a good place for you to rest. You can also contact us if you want to travel worry free. If you search in Google the beaches “La Mina”, “Playa Roja”, “El Chaco” or “El Raspón”. You will see that the landscapes are completely different than the beaches you might be accustomed. The pacific Peruvian coast has this peculiar way to be: the desert merges with the beach with no vegetation in between. Even, some beaches as “Playa Roja” has red sand, which gives it an even more bizarre aspect. This beaches are completely different than the Caribbean or the Asiatic, so that’s one thing that you can experiment in your Peru travel. YOU CAN GO WITH YOUR FAMILY! Kids love to run, to be in contact with the nature and to have fun! You can have that in Paracas as one of our Peru Beach destinations. So instead of taking them to museums or closed places where they will fee bored, you can share good moments with them in the Peruvian beach. 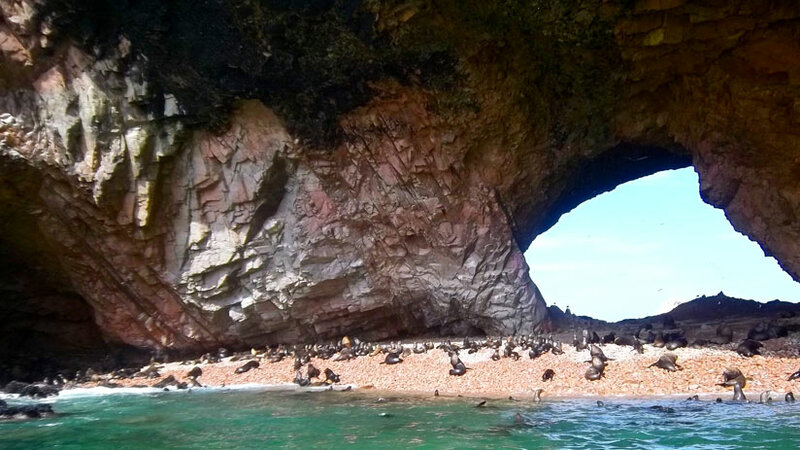 Another thing to do in Paracas is visiting the Ballestas Islands with your family. This is a nearby location that you can reach by boat to see the wild life of the area. Many companies offer this tour so it won’t be complicated to find the way to go. If your family loves the nature and the adventure, we bet that you will have a blast there! You all can also visit the Paracas National reserve, that is a good option Peru family tours. This spot will allow you to see a lot of animals and to learn about our biodiversity. Taking a bus from Lima to Paracas can cost you 20 USD or less so it won’t affect your peru tours budget. Also, as the place is not crowded by tourist, it will be easier to find local prices instead of the tourists one. The accommodation there is also cheap. Maybe this prices can rise a bit during the summer season, but it will be affordable. 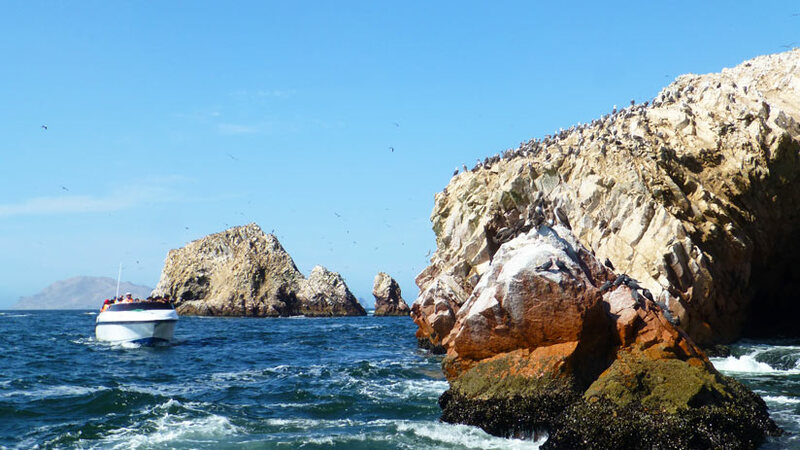 If you’re interested in doing the tours of Islas Ballestas or the Paracas National Reserve, you can find many shared tours, that will allow you to keep your budget. IT’S NOT CROWDED WITH TOURISTS! As we said previously, this place is not as busy as Cusco or Lima. It will allow you to have your space, contemplate the magnificent landscape and disconnect. If you’re traveling as a couple, this can be a very romantic spot where nobody will be pressuring you to buy souvenirs or tours. Also, it will be easier to feel the taste of the culture there. 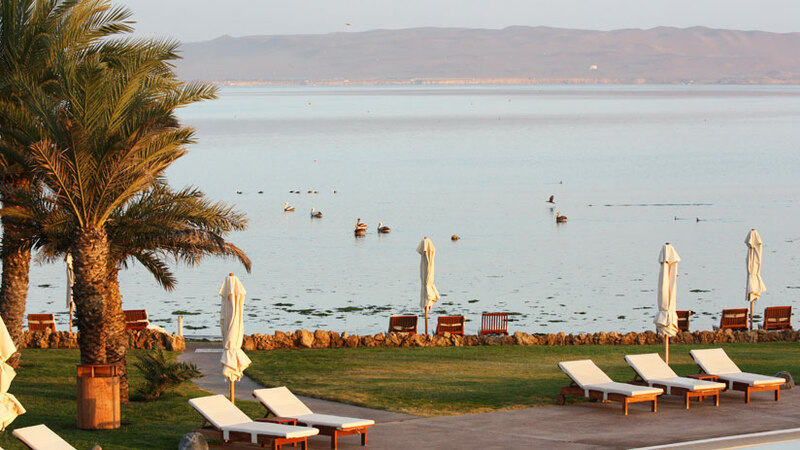 So, be a different tourist and visit a less known and discover things to do in Paracas Peru. This beach destination will make you feel the real diversity of Peru and will also be easy and affordable to visit. If you want more information about this place, you can always write us, an expert travel agent will be helping you with all your questions about your Peru travel. 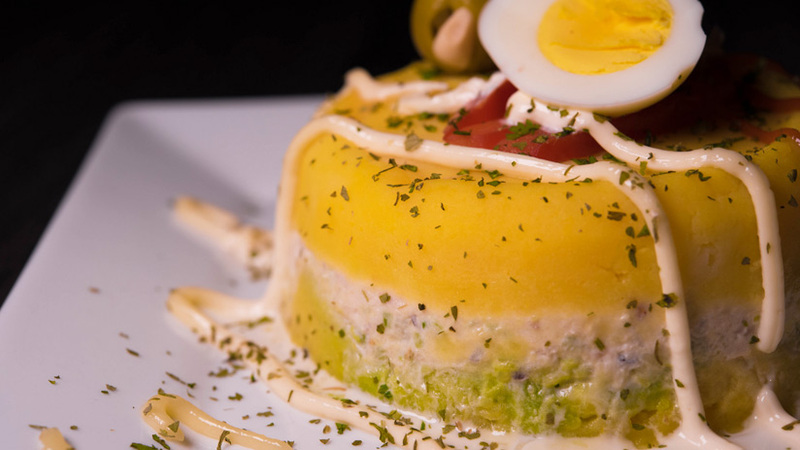 Peru Travel Tips, Peruvian Food, Travel To Peru family vacations, travel to peru. permalink.